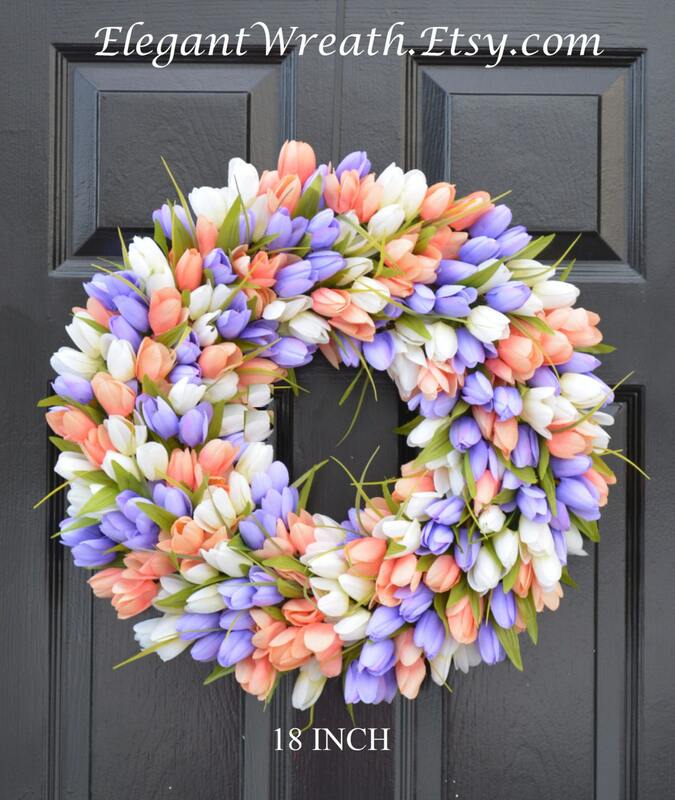 WE'RE THE #1 WREATH SELLER ON ETSY with over 27,000 sales! 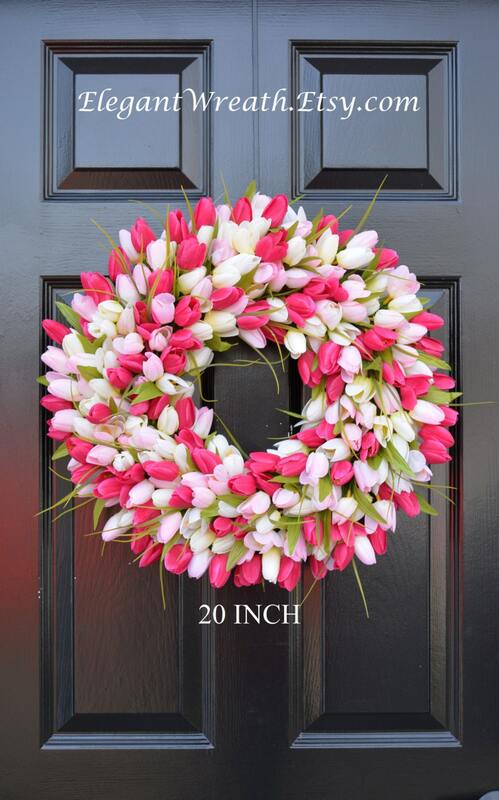 My EXCLUSIVE and LIMITED tulip wreath shown in the first picture contains hundreds of beautiful pink and white silk tulips. 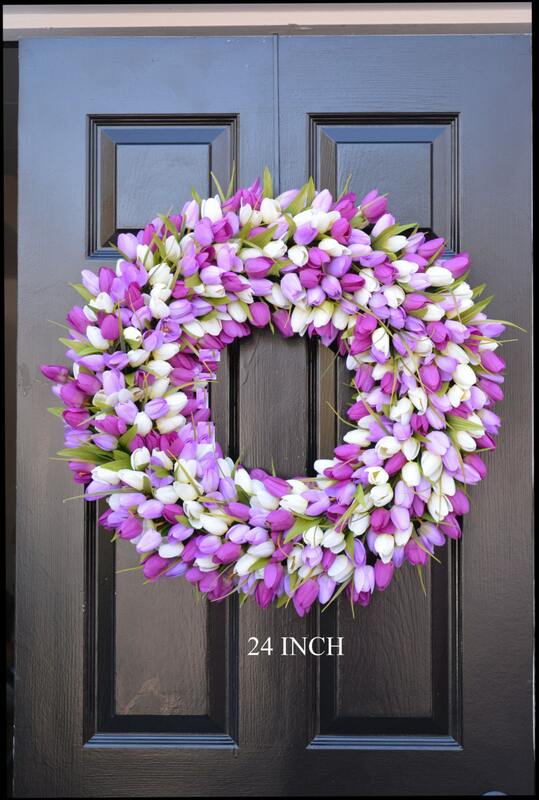 This large wreath is perfect for your front door or indoor space. 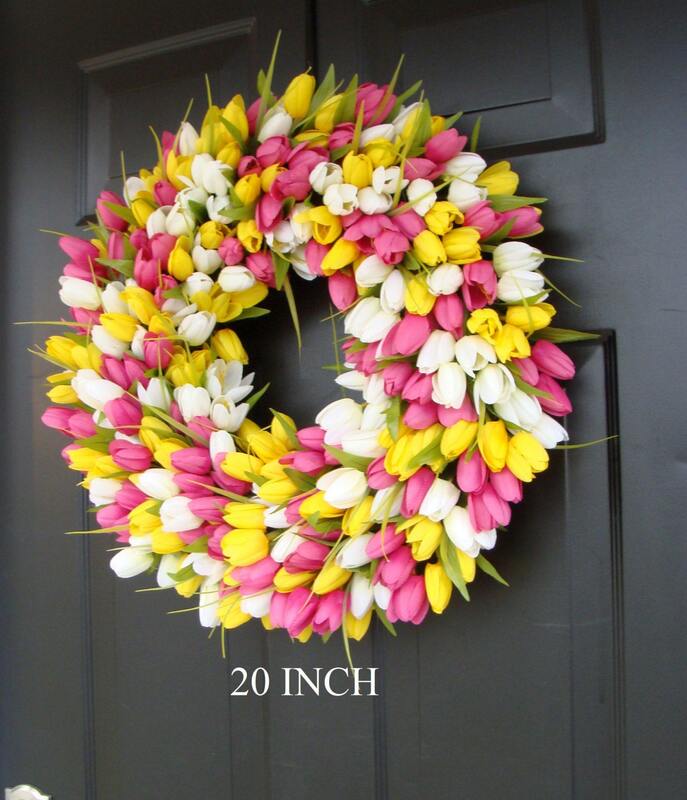 The wreath sizes available range from 16-26 inches round and 4-5 inches deep. The silk flowers were carefully arranged onto a beautiful grapevine wreath backing. A beautiful wreath that will last years. - I have six years of wreath making experience in all forms of wreath types: silk, dried floral and evergreen. I purchase supplies that are Made in the USA whenever I can. As a result my wreaths have been selected to be featured on ABC's Extreme Home Makeover Edition and many blogs such as http://blog.charterhomes.com. This. Is. beautiful! 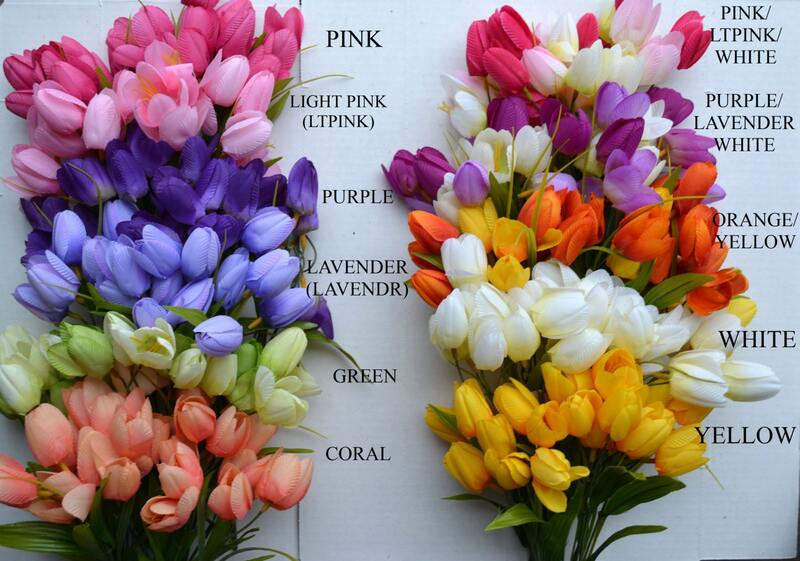 VERY well made, vibrant colors. I love this and have received so many compliments.